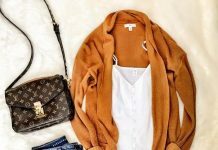 Home Casual Outfits How To Wear Layered Casual Fall Outfit Like A Pro! How To Wear Layered Casual Fall Outfit Like A Pro! With the significant drop of temperatures, we should prepare the layered casual fall outfit. Sounds terrifying right? Yup! Many women are afraid to try it due to a fear of looking bulky. Yes, layering needs skill though and you should get used to it. But luckily, layering is on the trend these years. 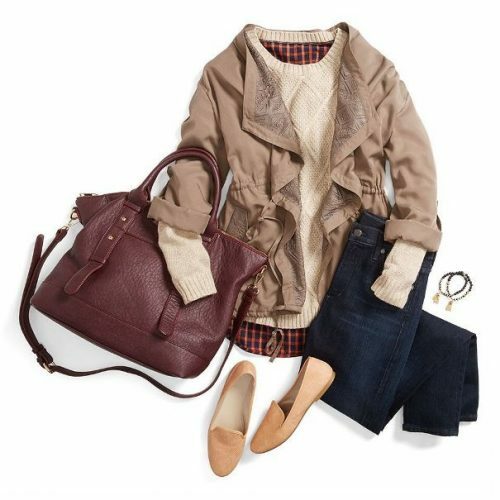 With the versatile items, you can have fun pairing your outfit during the fall. Feeling challenged? Today we give you the ultimate guide for making your layering style outstanding. First, get the ruffle jacket and use the sweater underneath. The ruffle part shows the pattern with its brown color making it great for the fall color. Roll up the jacket sleeves to show the sweater. Besides, you can wear the square patterned shirt to warm you up. Next, combine it with the dark tight jeans and shoulder strap bag with the brown hue. For the footwear, a pair of brown flat shoes is great. You can complete the look with the ethnic bracelets. Now, what do you think? Aren’t those elements cool? Basically, you have to keep the under-layer fitted so you can stay in shape. Concerning on the waistline with the belted coat is a wise choice to avoid you looking fat.